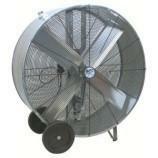 If keeping your guest comfortable is a top priority at your event- we have just what you're looking for a BIG FAN. This fan has 42' blades that can cool an entire party down in no time! Copyright © . Bounce Around Austin Inc. All rights reserved.